I'm a wedding photographer based out of Orange County, CA. I've been shooting weddings domestically and internationally for around six years. 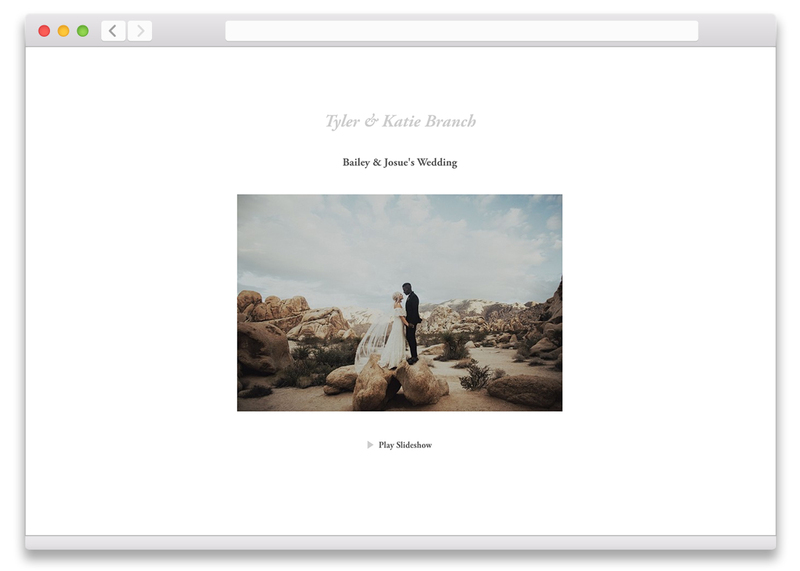 What is your favorite way to show photos to your clients for the first time? Why? 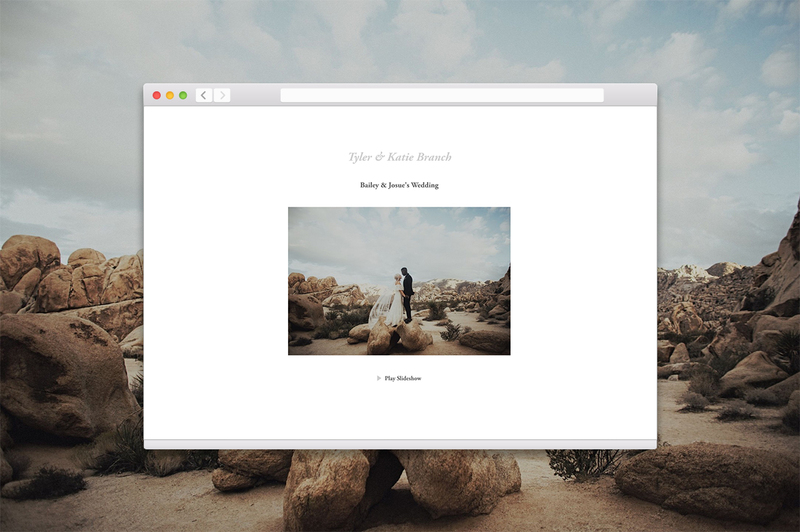 The slideshow is the first thing my clients see after the wedding. Not only do I always want to make a great first impression, I’ve also noticed clients are far more willing to share a whole slideshow to their network (of other potential clients!) than a single image. One key advantage to slideshows (over, say, Instagram) is the ability to share a full narrative. I do my best to use slideshows as a way to bring couples and their own friends and family into the stories I’m telling. It’s more than just epic images in beautiful settings, it’s a meaningful retelling of the day, and I think that’s what people really love. Utilizing my clients’ excitement for their photos and having them spread the news about their images is far easier to unearth potential clientele than me shouting through my limited outlets. I’ve always adhered to the strong principle of making amazing images and letting them do the talking, and SmartSlides, the new slideshow maker from Pixellu, does that very powerfully. Presentation is huge. You obviously want things to fall in line with your style when it comes to how you present your work so I'm always wanting the focus to be on the imagery. Not me, not the website, not even the design, just the images. I want people to fall in love with the images I make. This is why a minimalistic and clean approach for me is a big part of the presentation because it emphasizes the thing I'm trying to sell: the photos. What do you think makes a good slideshow? I subscribe to the less is more mentality by creating my slideshows with the central theme focused on narrative. Story is so big. And when it comes to the current climate of weddings, we're seeing a ton of unreal locations and epic backdrops are trending. While epic sells really well, it's the story that leaves the impact. This is why slideshows are so big for my business. What do you love most about SmartSlides? Gosh, all of it? But specifically, what stood out to me the most was the ease and speed of it. I would spend nearly 20-30 minutes oftentimes with other slideshows from start to finish. Now, I spend 5-6 minutes at the most. How is SmartSlides different from other slideshow software you have used in the past? I really think one of the strong points to SmartSlides is the usability. It's straight-forward and speedy while also giving you all the options you need in a slideshow. I've been wanting someone to step in and make something like this for years now and SmartSlides pretty much did that and more. Here is just one example of a slideshow Tyler created for his clients with SmartSlides, using our Classic theme. Start creating your own slideshows in minutes! Try SmartSlides for free.